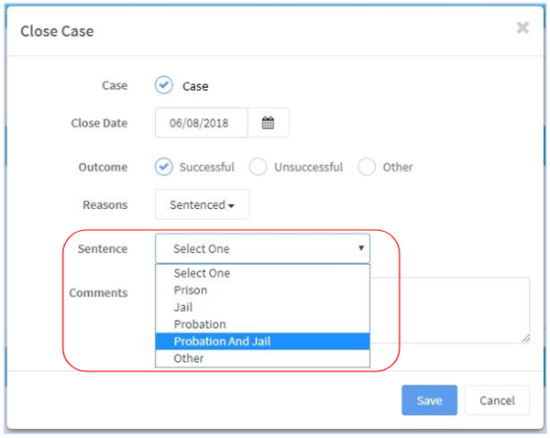 A new Sentence option of “Probation And Jail” has been added to the Close Case process. Additional data fields are now available in Word tags. The full list now includes: Case ID Number, Classification, Code, Count, Crime Category, Description, Full Description, Is Domestic Violence Offense, Is Most Serious, Is Sexual Offense, Is Violent Offense, Is Weapons Related Offense, and Qualifiers.